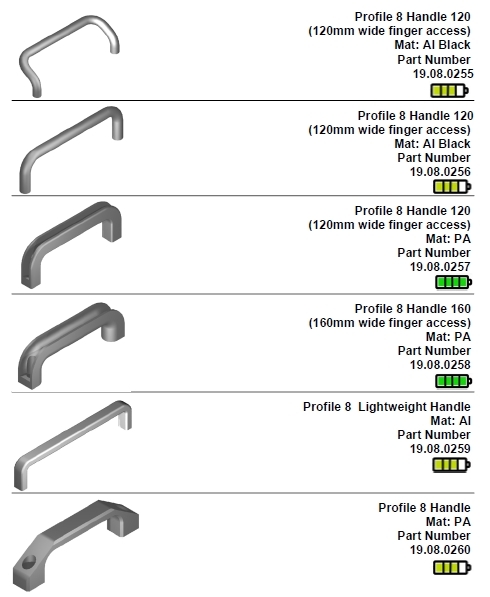 Valuframe offers a selection of handles for the 3 profile series. These are made from plastic, steel and aluminium. 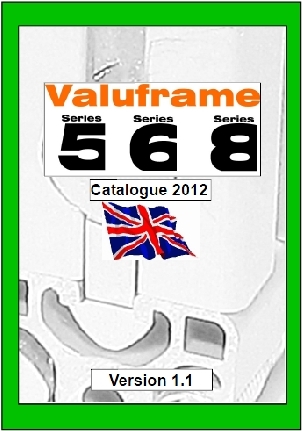 The hole sizes and centres are made to match the individual profile series slot size and spacing. 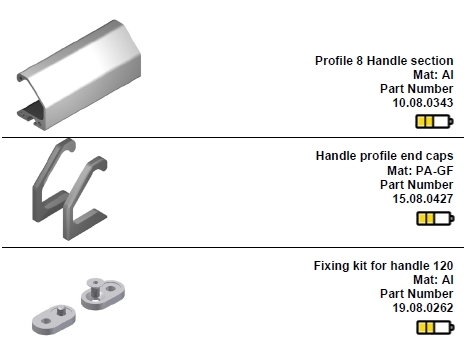 There are fitting kits for some handles, but most customers simply use off the shelf screws and slot nuts to secure these handles. 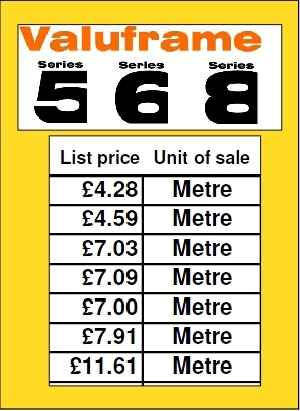 Series 8 and 8X30 handles.